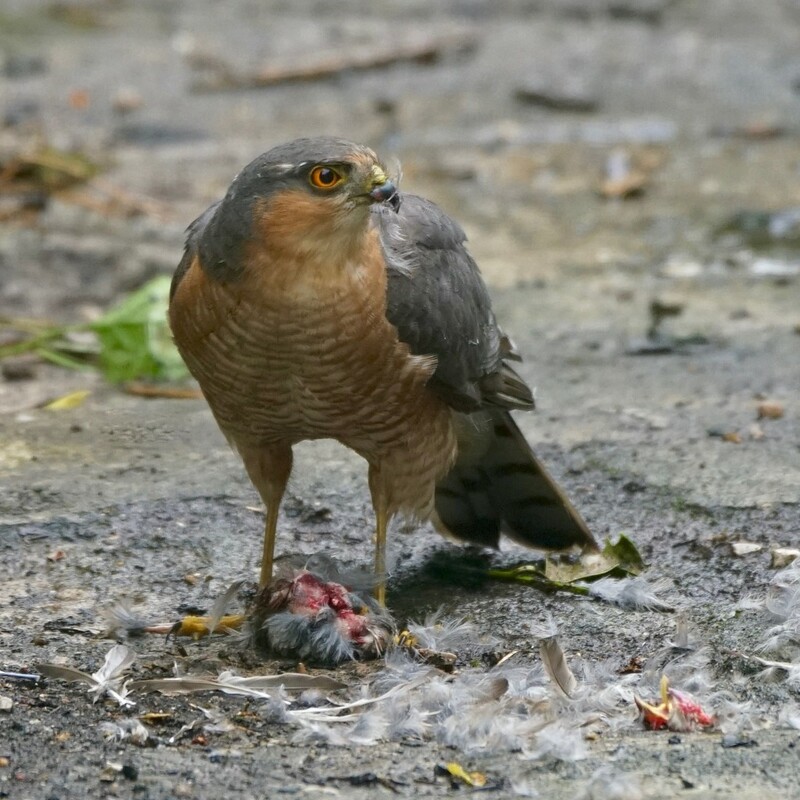 Another shot of the male Sparrowhawk from the garden this week. Wonderful to be able to watch such a beautiful and highly efficient bird so closely, but I can't help feel sorry for the baby Sparrow that was his dinner. As they say, that's life. That is mother nature! Great capture and fav.